Partial foot amputationscan be a result of disease (such as diabetes and other related vascular/circulatory conditions), trauma, infection, tumors (cancer) or congenital abnormalities of the front part of the foot. Partial Foot amputation – traumatic injury – Lisfrank Level. 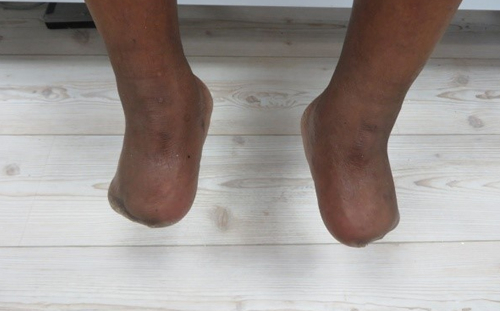 Bilateral Partial Foot amputation – diabetes – Transmetatarsal level. Partial Foot amputation – congenital birth defect – at approximately Metatarsal disarticulation level. Irrespective of the reason for amputation, and the exact level of the amputation, the prosthetic principles and treatment with a silicone prosthesis remains basically the same. Partial foot amputees generally regain good mobility and can often return to very active and relatively normal lifestyles. The main advantage of the partial foot amputation is that the amputee can in many cases still be mobile without the use of a prosthesis for short periods or distances, for example, to go to the bathroom at night. As the heel bone is still intact, the amputee can stand and weight bear on the back of the remaining foot. The patient can still stand (weight bear) and walk short distances with a partial foot amputation. Walking does not appear normal as the full lever length of the foot is not present, it is often also not very comfortable, but possible. To restore the full length lever arm of the amputated fore-foot. 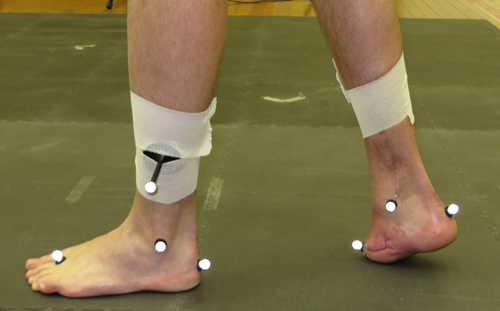 To correct and support optimum alignment of the remaining foot. To ensure comfortable weight bearing within the prosthesis by applying pressure in non sensitive areas and relief of pressure over sensitive areas, such as bony prominences. To improve the cosmetic appearance of the foot. 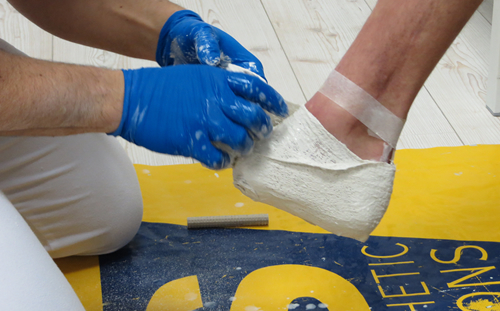 After assessment of the partial foot amputation, a plaster-of-paris cast is taken ensuring correct alignment and support of the foot. A Plaster-of-Paris cast is taken of the partial foot, the plaster allowed to set with support of the bottom surface of the foot. 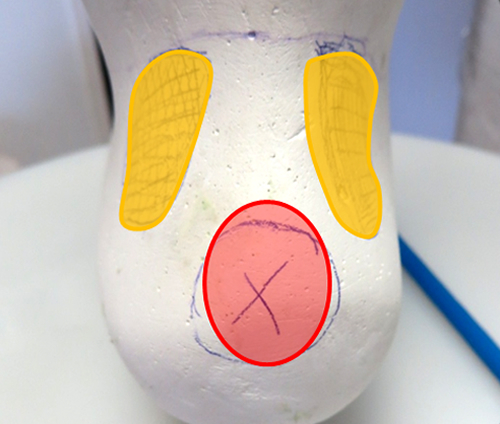 The plaster positive model of the foot is then shaped to ensure an optimal fit of the partial foot prosthesis. Pressure is applied in areas that are tolerant to pressure, and relieve areas (built up areas) are created for pressure intolerant areas. This is typically on the bony prominences at the front and back of the amputated foot. A side and back view of the partial foot plaster cast. Green area – pressure tolerant, pressure is applied. Yellow area – highly pressure tolerant, significant reduction. Red – generally not pressure tolerant, built up to create a relief area. 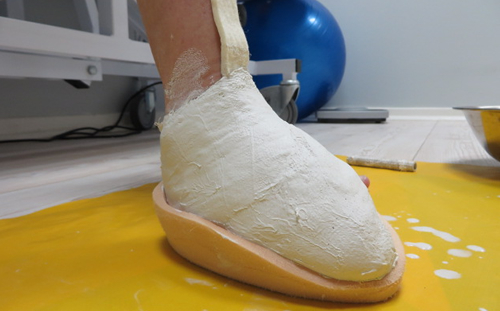 Once the plaster model is shaped, a test or diagnostic prosthesis is manufactured. 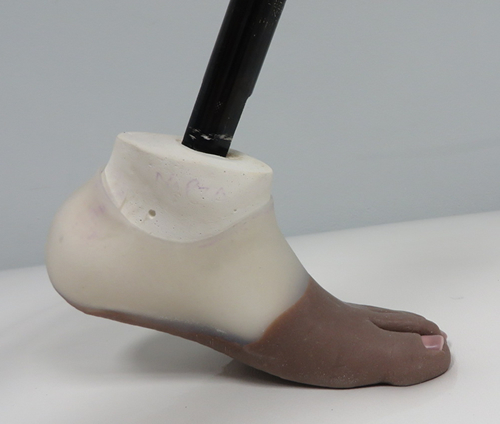 This prosthesis is used only for the short term to determine comfortable fit of the prosthesis – and also to determine if the size and shape of the foot is correct to ensure that the prosthesis fits into shoes. 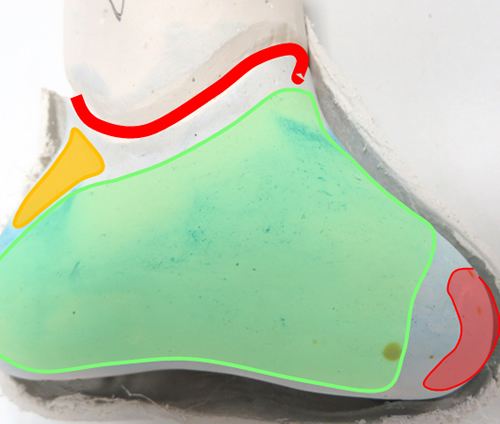 Generally, the silicone partial foot has to be made approximately 10 % smaller than the opposite sound side foot to ensure that it fits into shoes. It has to be considered that the soft tissue of a human foot is pliable and compressible, the silicone prosthesis is not. A partial foot test prosthesis. The prosthesis is made slightly smaller (shorter and narrower than the sound side foot, to allow it to fit easily into shoes. The silicone is flexible to allow a good roll-over deflexion when walking. 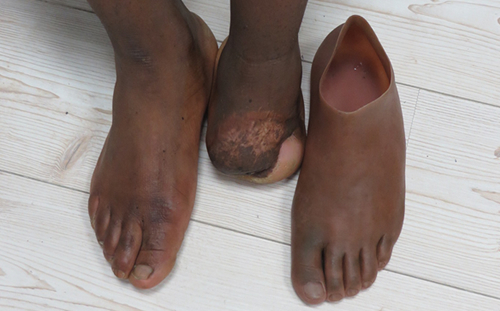 Once it is determined that the test prosthesis fits comfortably and fits into shoes, then the final (definitive) prosthesis can be manufactured accordingly with any necessary adjustments made. 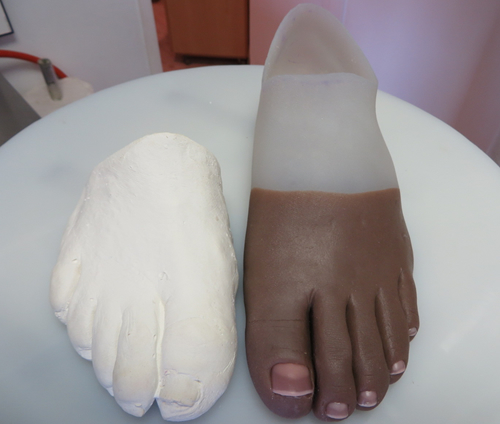 This prosthesis will be made also with attention to cosmetic appearance, such as skin colour match, skin surface texture and toe nail match. The partial foot amputation and the definitive prosthesis. 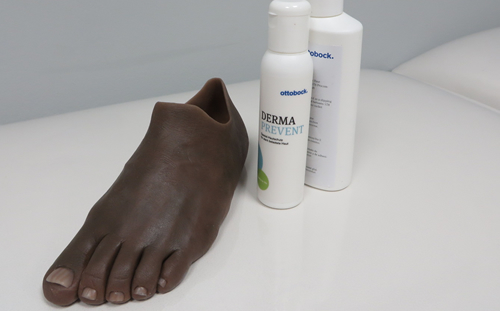 The special skin-friendly lubricant allows the prosthesis to slide onto the partial foot. It is absorbed by the skin and helps the skin to tolerate prosthetic use.